We've been promoting ethical standards and reasonable pricing since 2004. 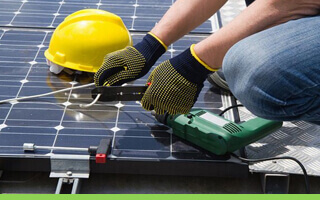 PV solar panels come in a variety of different types, sizes, and configurations, so we ensure your property is suitable. We quote and discuss options so your household can receive the maximum benefit from this fantastic technology too. Roof orientation, shape, covering style and access ability. We consider your electric fuse board's age, ability and access routes. Some may require updating to more modern safety standards as part of the installation process. Health and safety considerations for the installers. We can overcome most of these issues in 99% of cases.